Keyes Honda: Is a Certified Pre-Owned Honda Vehicle Your Best Route? Is a Certified Pre-Owned Honda Vehicle Your Best Route? Looking for a brand-new Honda vehicle but not quite prepared for the price tag? Don’t worry, you don’t have to settle for anything less than one you love. You can benefit from a certified pre-owned Honda vehicle that gives you the reassurance of a brand-new vehicle’s reliability without the cost involved. Our certified pre-owned Honda vehicles include a comprehensive history report that addresses if there were any accidents or damage reported, as well as the service history. Plus, all cars have gone through an extensive 182-point inspection from our certified Honda service department to check the vehicle’s functions as well as look for any cosmetic issues. Worn parts are repaired or replaced in all vehicles. Buying a certified pre-owned vehicle doesn’t just help you feel better about its history, it also extends to its future as well. Certified pre-owned vehicles from Keyes Honda include a seven-year, 100,000-mile powertrain warranty to protect you from any future potential issues. Arguably the number one reason to purchase a certified pre-owned vehicle, as opposed to a brand-new one? The cost. You can see major savings with a certified pre-owned Honda vehicle, sometimes even up to 25 percent off the brand new version. 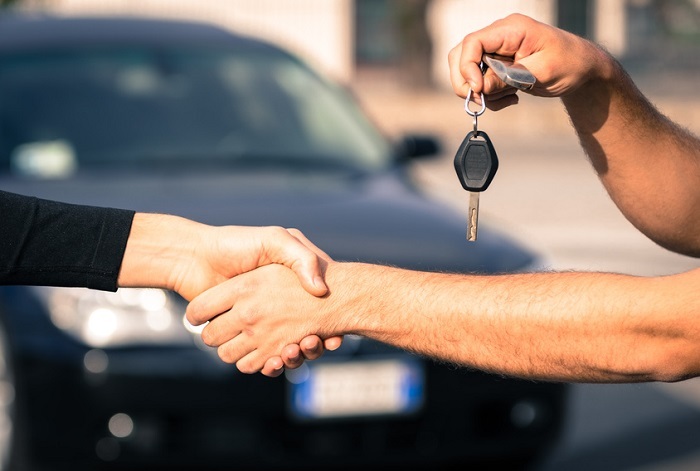 Plus, while oftentimes a new vehicle quickly depreciates in value after you drive off the lot, a used vehicle’s previous owner has already taken the brunt of that. This is especially useful if you are looking at making a minimal down payment or have extended financing terms, so you don’t have to be as concerned about ending up with negative equity. Ready to get into your own new-to-you Honda vehicle? Visit our Los Angeles-area Honda dealership at 5355 Van Nuys Boulevard in Van Nuys, CA. You’ll discover just how good saving can look.